Today I decided to start a blog . . . I toyed with the idea of starting a blog with a separate URL with a link to this blog, but in the end I decided to start a blog within my own website. This will be strange for me at first, because I usually post up articles on the site. 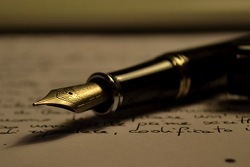 Writing a blog usually uses an informal writing style which is more relaxed. Just typing away without trying to craft or polish a piece of writing too much. Just getting your thoughts written down. I’m aware that it’s always better to create a niche blog for SEO purposes if you are serious about turning a blog into a profitable blog, but I’m more interested in just enjoying writing about diverse subjects and things that pop up in my life and in my thoughts, just for fun. So in a nutshell . . .
It’s always better to set up a niche blog on a particular subject if you want to make money out of a blog in the long run, but if you are blogging for fun then a general blog is fine and arguably more enjoyable to write for. So what attracted me to start a blog in the first place? Well, if I post up articles I like to research the subject, or employ a writer to research and write about a subject for this website. This takes time and is different to just typing away and transferring your thoughts into a blog post. Kind of like if you were doing very technical art using detailed drawing techniques and then suddenly switched to freeform painting, just splashing colours everywhere for fun. It sounds like a fun idea to just be able to write your thoughts down freely instead. So, having decided to start a blog, I’m going to give it a go and post as regularly as I can.